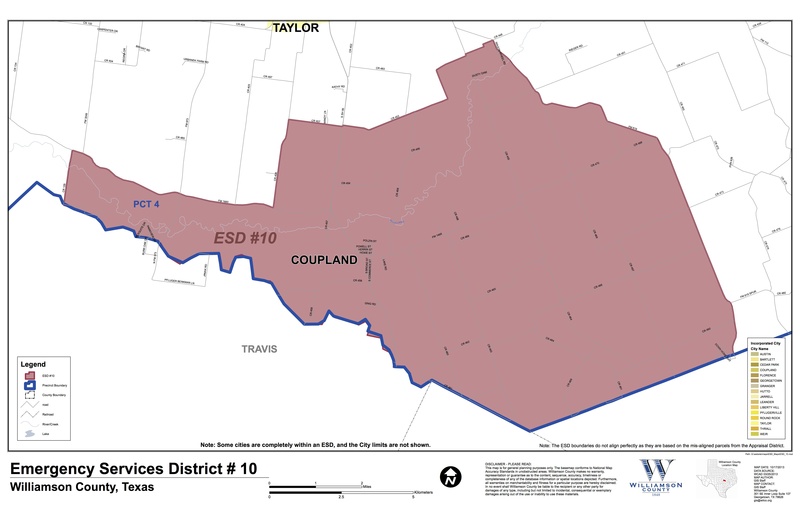 The Board of Commissioners of Williamson County Emergency Services District #10 will meet on Tuesday, the 8th of July 2014m, 7:00 pm at the fire station, 403 FM 1466 in Coupland, Tx. This entry was posted in Local Government, What's New? and tagged Williamson County Emergency Services District 10 on July 7, 2014 by Stewart Dale Spencer.